Having a sister on the family is really a great thing. Usually they are the one whoknows your secrets. Giving some personal advice and lots of useful things. 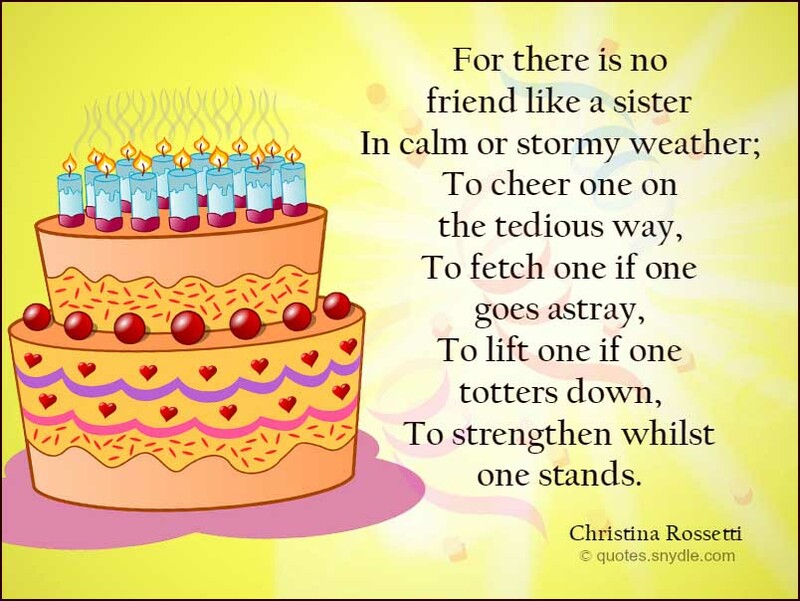 So on her birthday, give them back the love that they share with you by expressing your care and gratitude. Aside for giving some present, sending and greeting her by some birthday wordings is the best way. In that way, they can feel your presence and care for them. 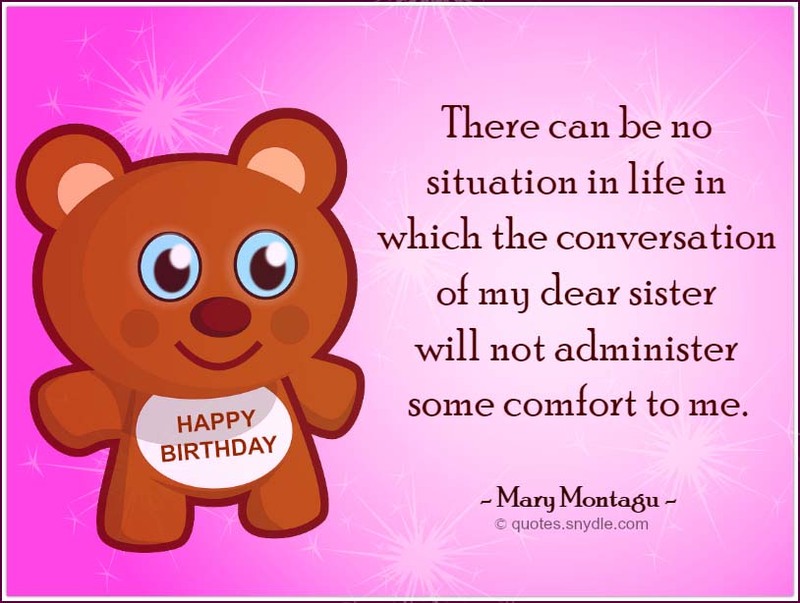 I provided an awesome collection of Birthday Quotes for Sister here. I hope it well help you. 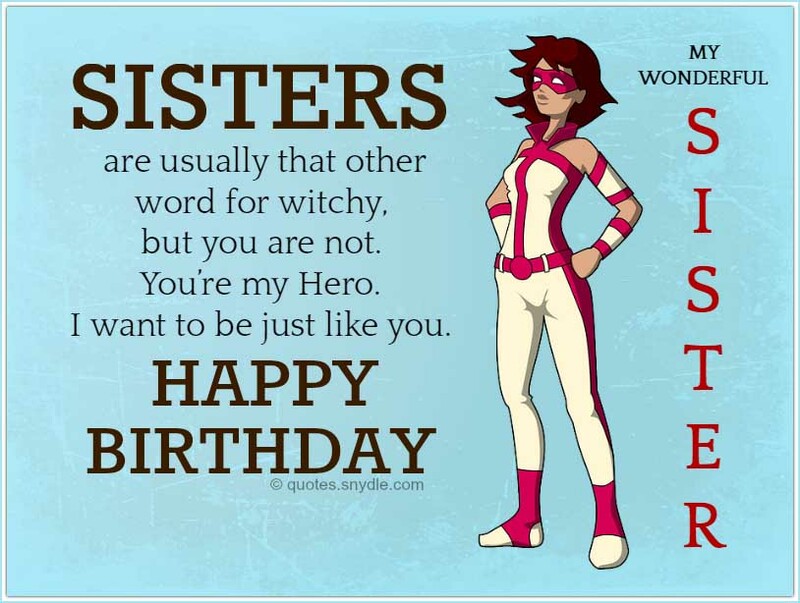 Sisters are usually that other word for witchy, but you are not. You’re my Hero. I want to be just like you. 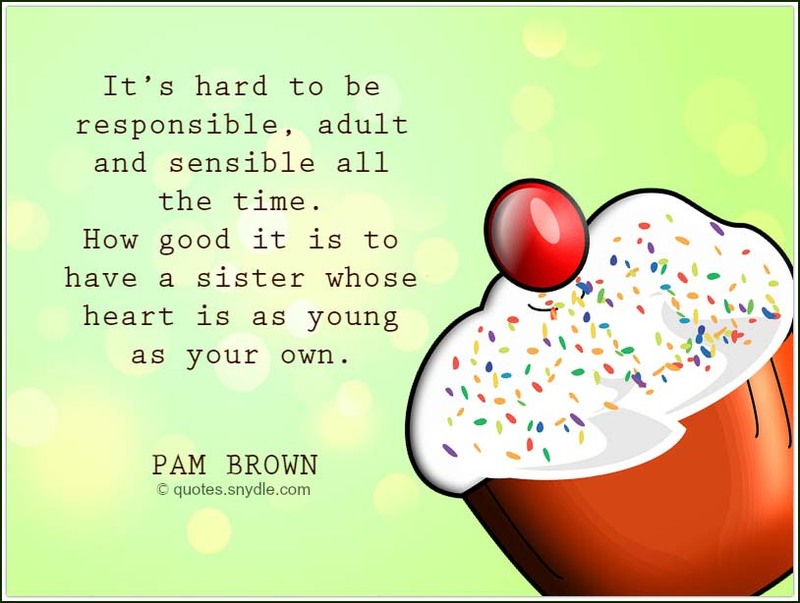 A sister can be seen as someone who is both ourselves and very much not ourselves — a special kind of double. It’s hard to be responsible, adult and sensible all the time. You are my luck, my support and my best friend. You have always been there whenever, I was in need. I can never thank you enough for the joyous times that we shared. 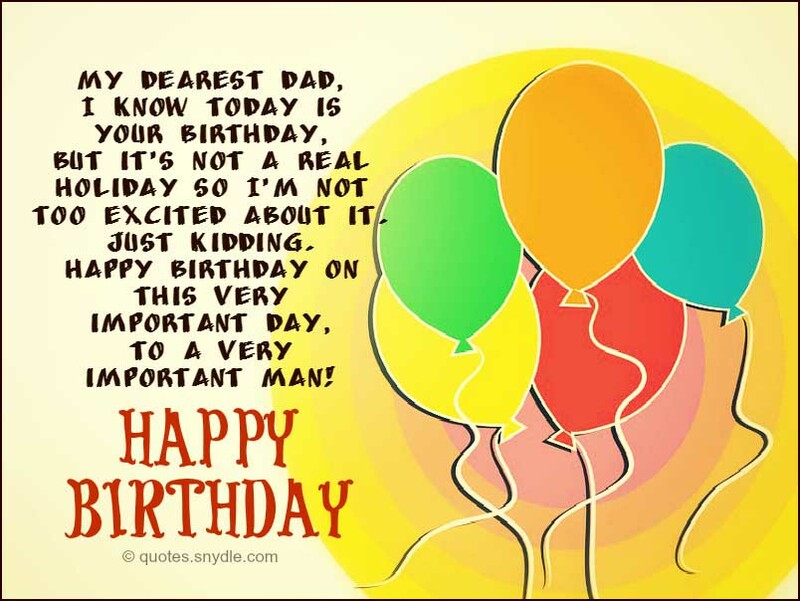 On your special day, I wish you an awesome birthday and a great life ahead. May you always be happy in life. I love you, my sweet sister. Husbands come and go; children come and eventually they go. 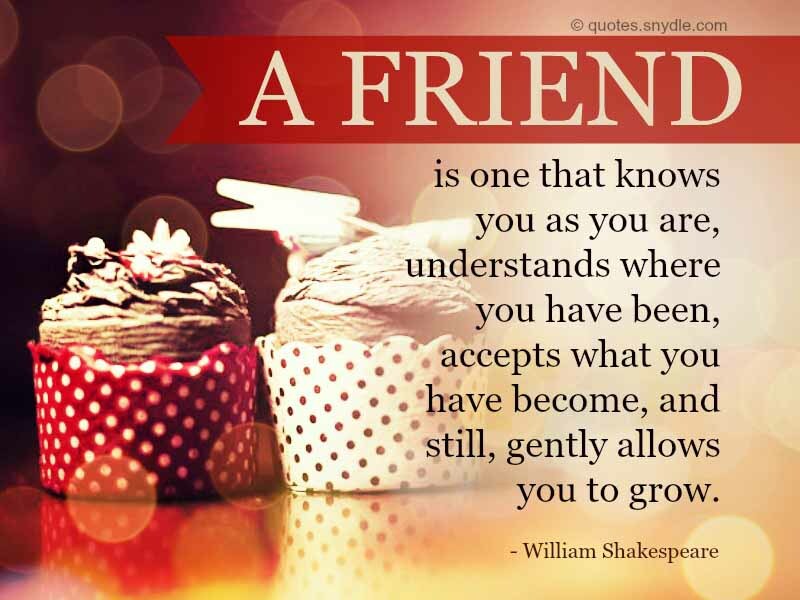 Friends grow up and move away. 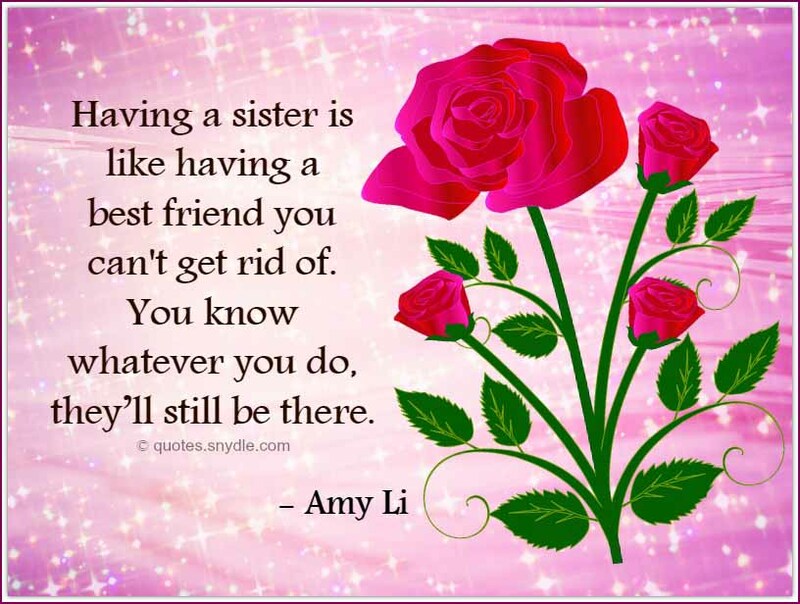 But the one thing that’s never lost is your sister. Sweet is the voice of a sister in the season of sorrow, and wise is the counsel of those who love us.